This is a great Waveless Mattress. It has 5 layers of submersible fiber. It is tethered on the corners and has Linen Lock corners also. This one has 2 Valves and a temperature gauge. Made by Sterling in the USA. This mattress is an excellent in the Waveless category. This will drop ship from Sterling to you directly by UPS. These are Super wave less and made in the USA. We recently reduced the price on these. Thanks for looking, Bill Country Waterbed Store. 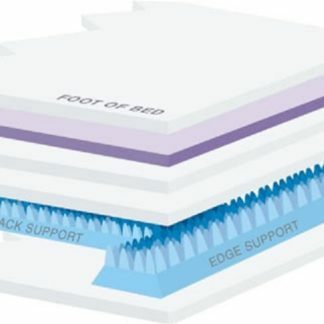 Sterling Endura III™ waterbed PVC was developed exclusively for Sterling Sleep Systems to meet all recognized performance and health standards established for waterbed vinyl in the US and in the European Community. We certify that Endura III contains less than 75ppm cadmium and meets all recognized limitations regarding heavy metal content. In manufacturing, and particularly when manufacturing waterbeds, material quality governs product excellence. No matter how skilled the fabricator a waterbed can be no better than the material it is made from. Endura III is formulated with the finest resins and plasticizers available for the application. We engineered Endura III to be the best piece of material possible. Endura III™ significantly exceeds the California Bureau of home furnishings performance standards. A key indicator of material excellence is low temperature performance “cold crack test” results. Over the last 20 years we learned that low temperature performance is an important indicator of overall material formulation stability, not just a measure of how well the product will survive shipping during winter months. The California Bureau of Home Furnishings standards required waterbed material to pass a –20 F test, we engineered Endura III to exceed –35 degree F. We are not aware of any other waterbed material that equals this standard currently. We won’t share the specifics of the Endura III vinyl formulation, however we will tell you, you can’t buy better material for making a durable, long lasting, quality waterbed. 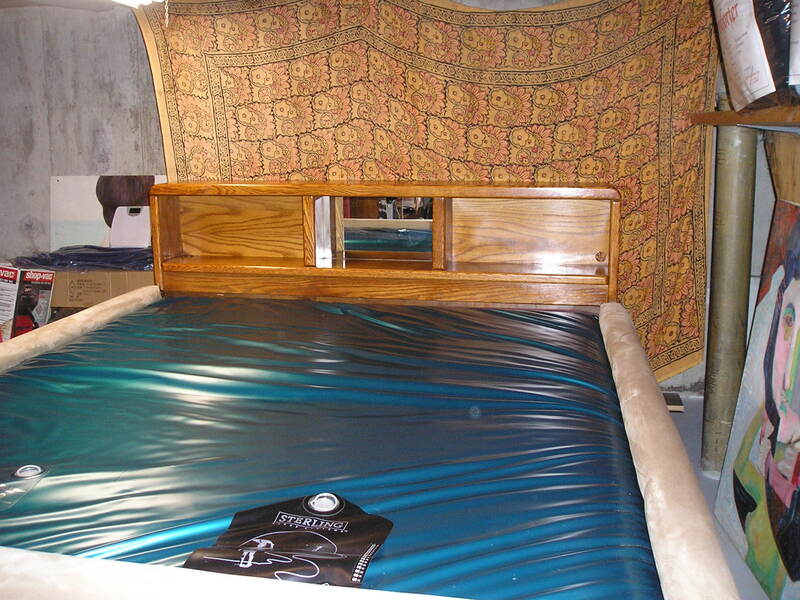 We have the track record and experience to build a superior waterbed, not to mention 11 patents. 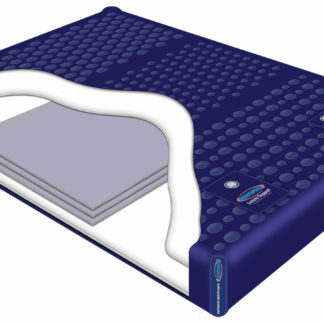 We are one of the largest domestic US producers ofwaterbeds with 20 years experience and sales of more than 1,000,000 units to satisfied clients in over 30 countries. We have survived in an industry flooded with imports by offering value and quality. Sleep Green, Renew, Reuse, Recycle. 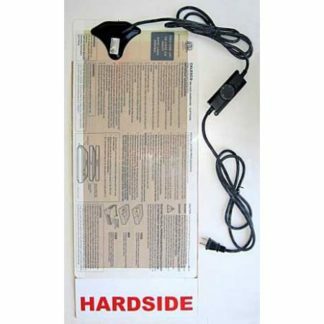 Besides Being A Sustainable Product, The PVC Water Bag Can Be Recycled Into Garden Hoses Or Other Useful Products. For those of us that have owned one of the 20 million waterbeds sold, you already understand that a waterbed delivers the same level of support and comfort from the first day it is installed until the last. 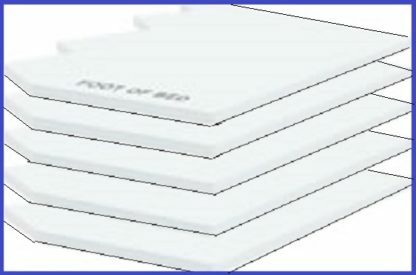 A properly filled waterbed contours to each sleeper’s particular shape and size distributing weight over more area of your body. When you reduce pressure points you reduce tossing and turning caused when sleepers move to restore blood circulation to parts of the body where pressure has caused capillary occlusion, where the smallest blood vessels are closed off by the weight of your body. 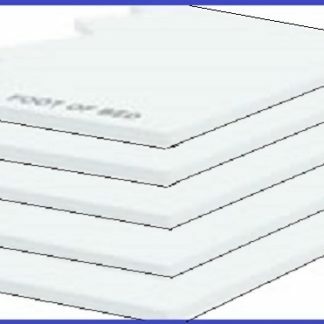 Waterbeds do such a good job distributing support and reducing pressure points they are have been used for 30 years to help with the prevention of bed sores for bed ridden patients. 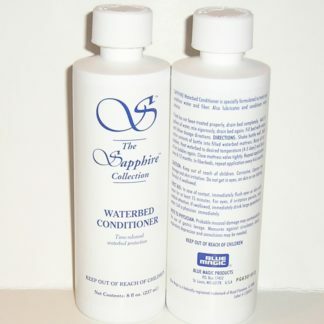 We recommend that you add Blue Magic waterbed Conditioner at the time that you fill up your new mattress. 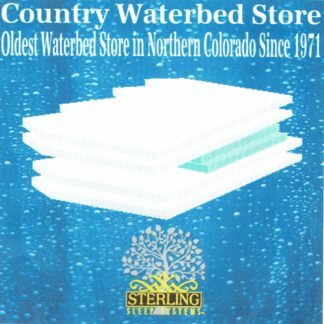 Buy from the Country Waterbed Store with Complete confidence. We have been in business since 1971. We ship in one business day. Thanks for looking, Bill Miller owner.